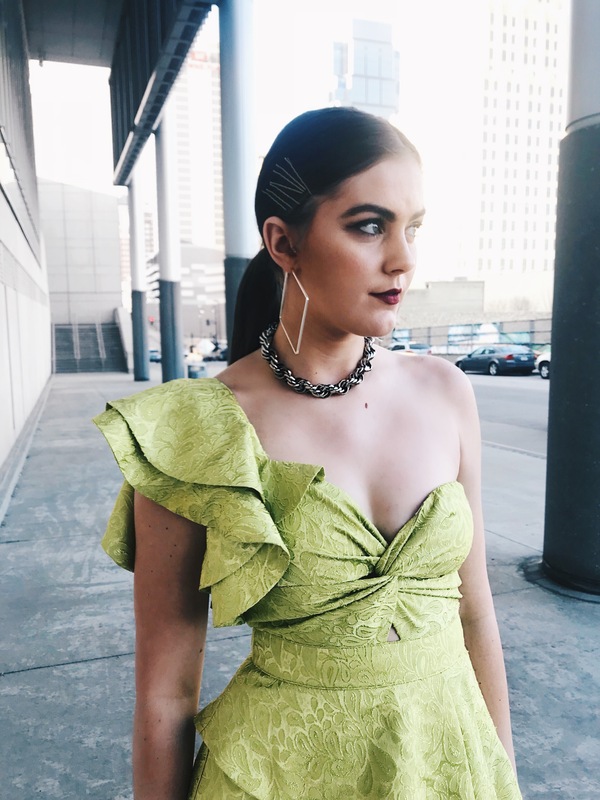 Over halfway done with posting my fashion week looks and reviews! 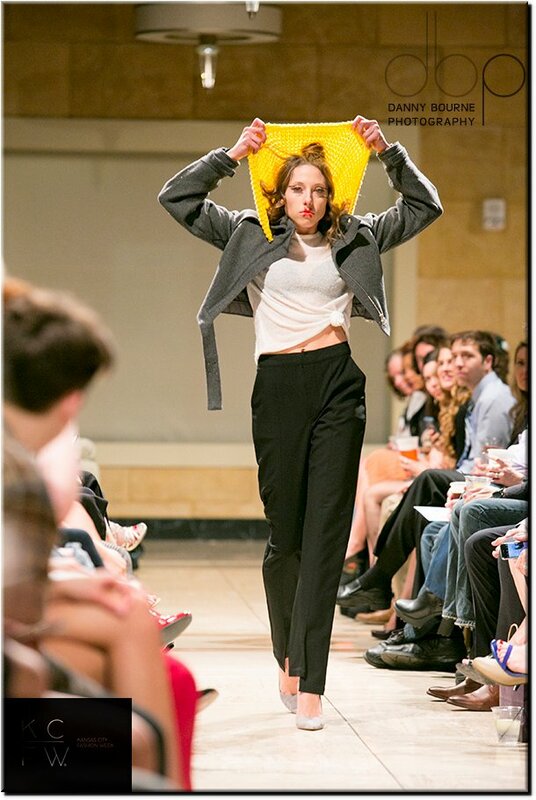 This night was one of the best nights from socializing, to my own outfit, to the collectons that were shown. 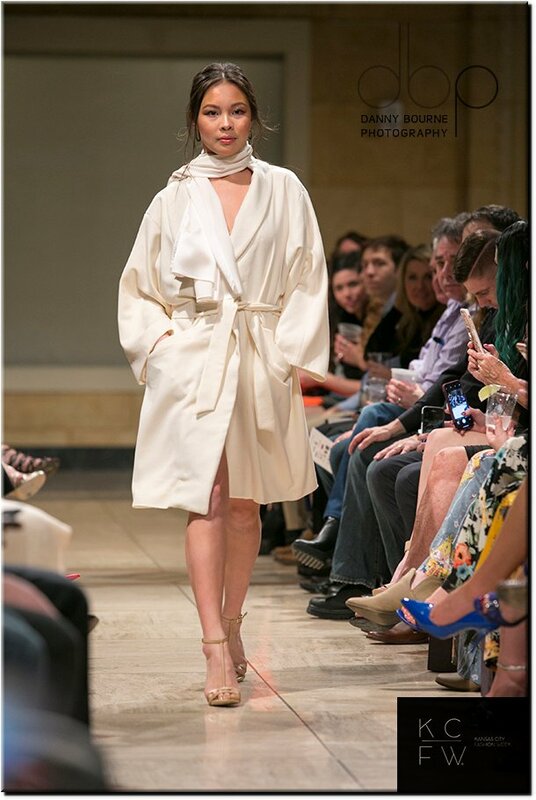 I felt truly content leaving this evening of KCFW. 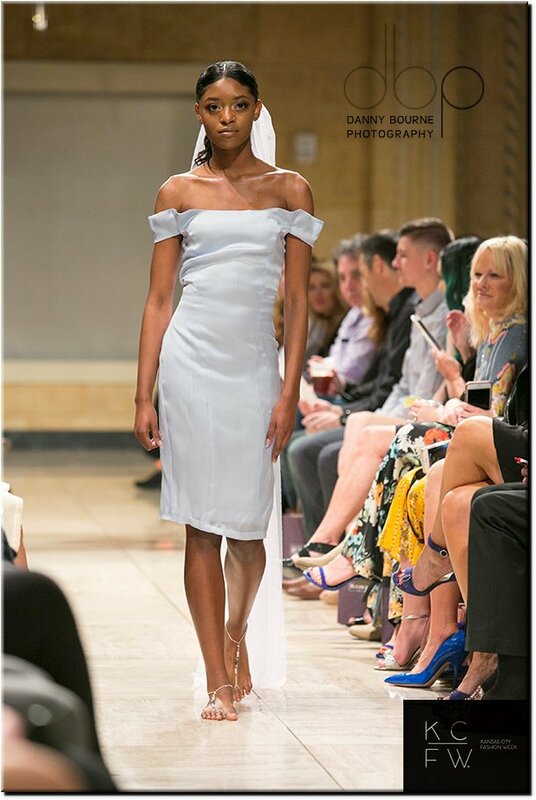 Side note: I was unable to capture my own runway photos from where I was seated so all runway images are courtesy of photographer Danny Bourne. Go like his Facebook page here. This is probably (weirdly) one of my most favorite outfits I have ever worn. 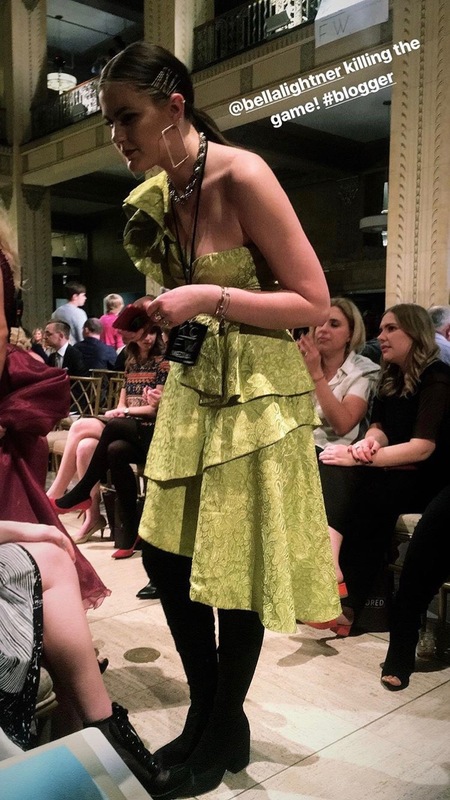 This neon green dress was the most “not me” piece I could have picked out but for some reason it was a must. 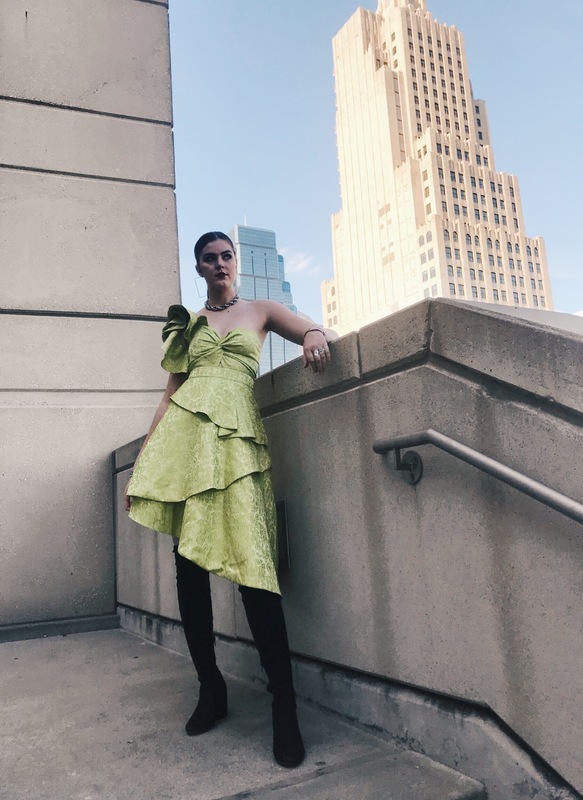 As of lately I feel like people, influencers and bloggers especially, have lost a sense of personal style and being different and I wanted to break that stigma with this. (I am in the middle of writing a post about this topic so keep following me a long to read!) I just kind of went for it with this outfit and did not expect the compliments that I received! 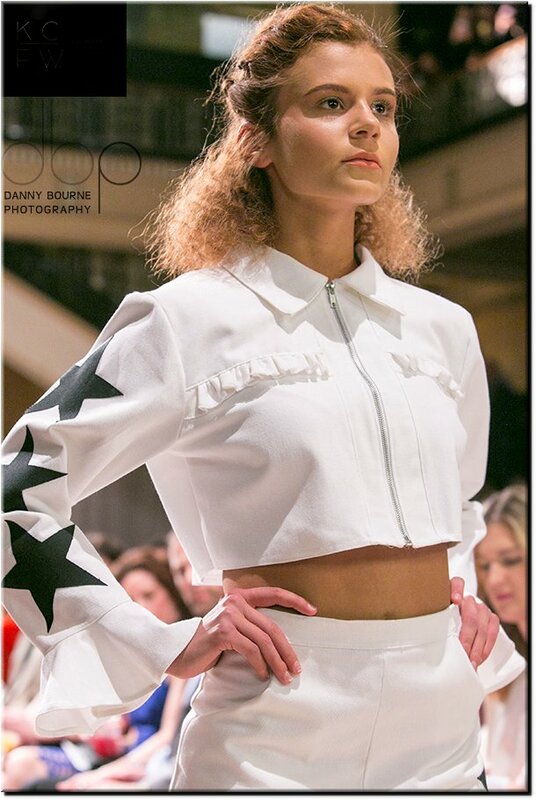 ***runway images are courtesy of photographer Danny Bourne. 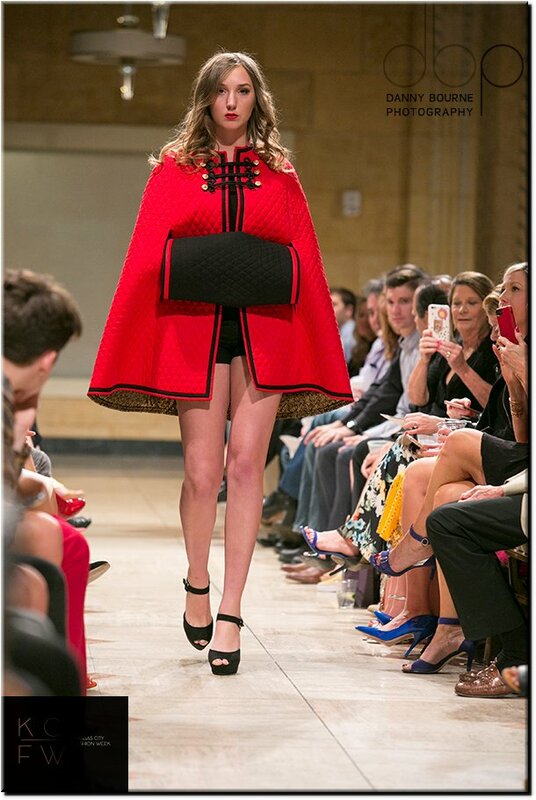 Tobie Marie’s collection was absolutely stunning and brought the biggest smile across my face. What a way to start off the evening! 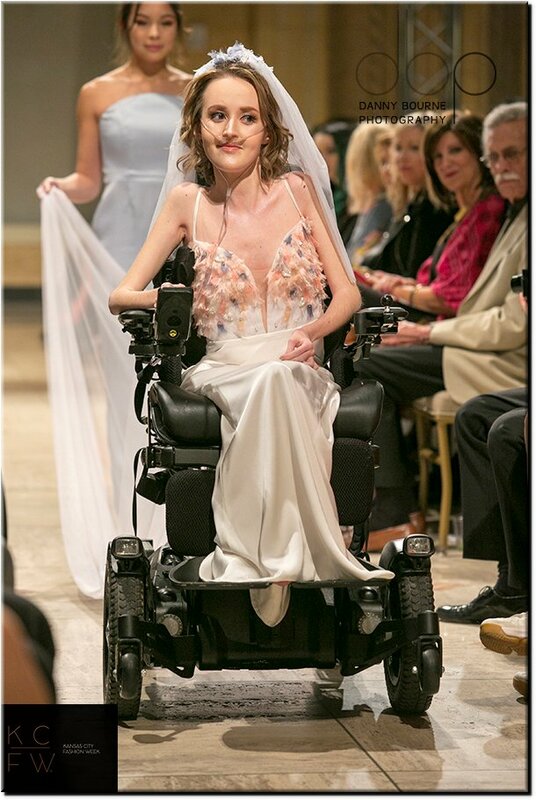 The designer chose all different types of models, showing that fashion includes everyone. 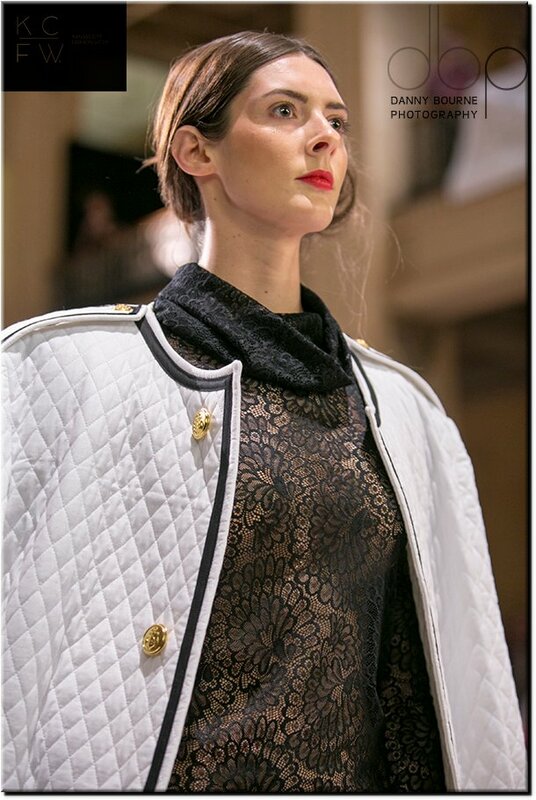 Her pieces were feminine and luxurious. Everything was pastel the fabrics were light; it was like a dream. 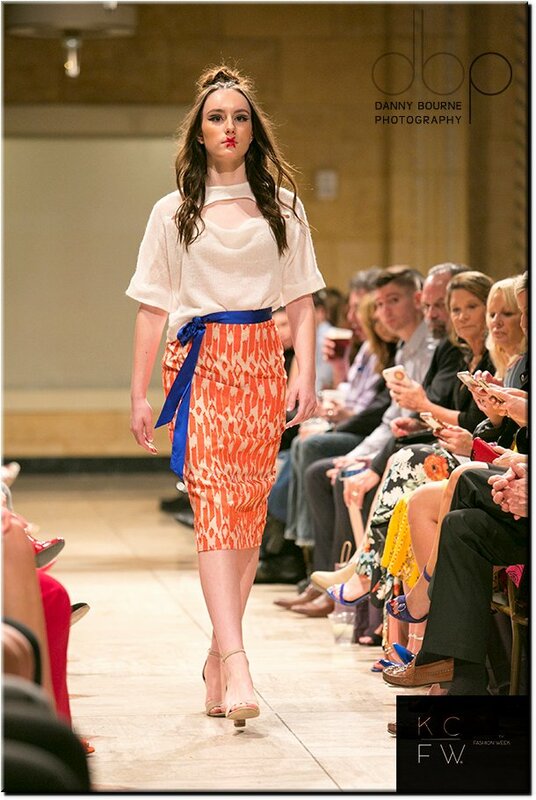 Miranda Hanson is so talented at such a young age and her designs always impress me. 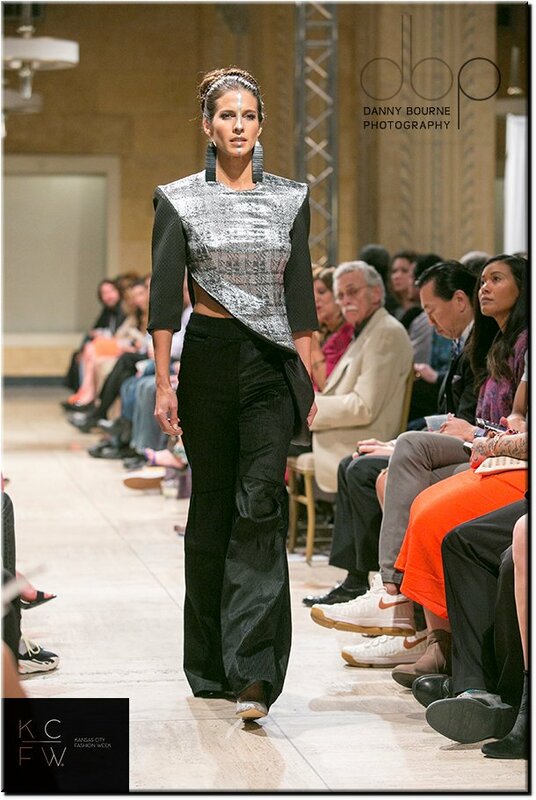 She know the current and upcoming trends and incorporates her own touch; making them wearable and unique. 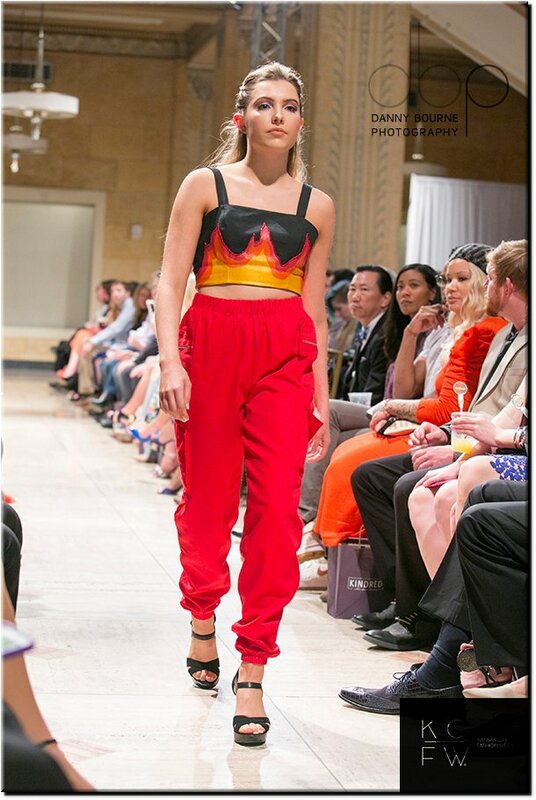 Stars and flames have been everywhere lately and I was so please to see them appear at Kansas City Fashion Week. 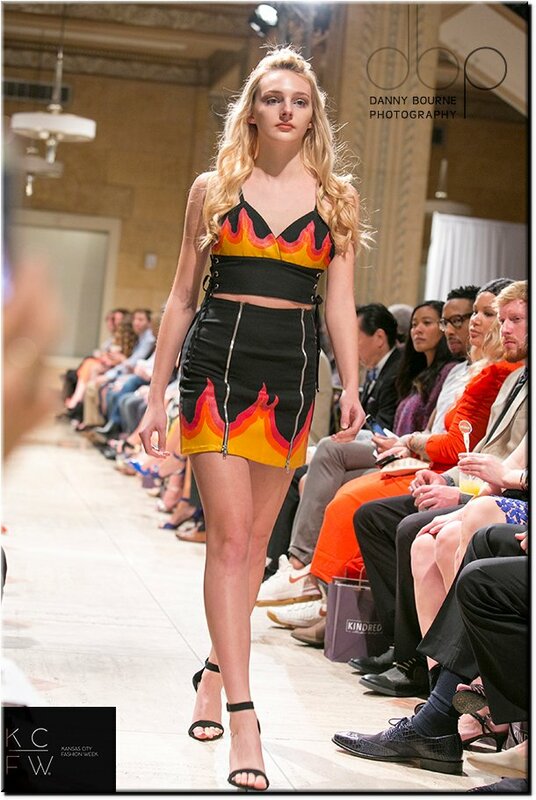 I would love to get my hands on that flame two piece set. These pieces are like a blogger and street style girl’s heaven. 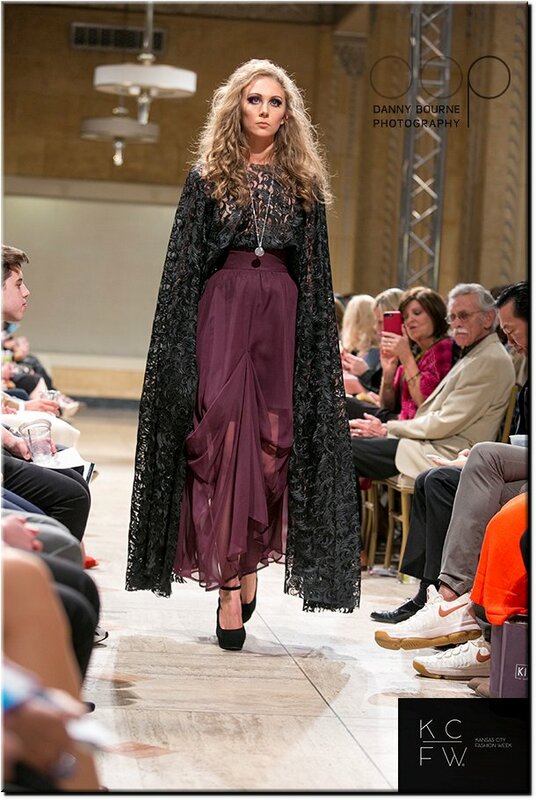 Lauren Bander always keeps it consistent with a whimsical – vampy theme. 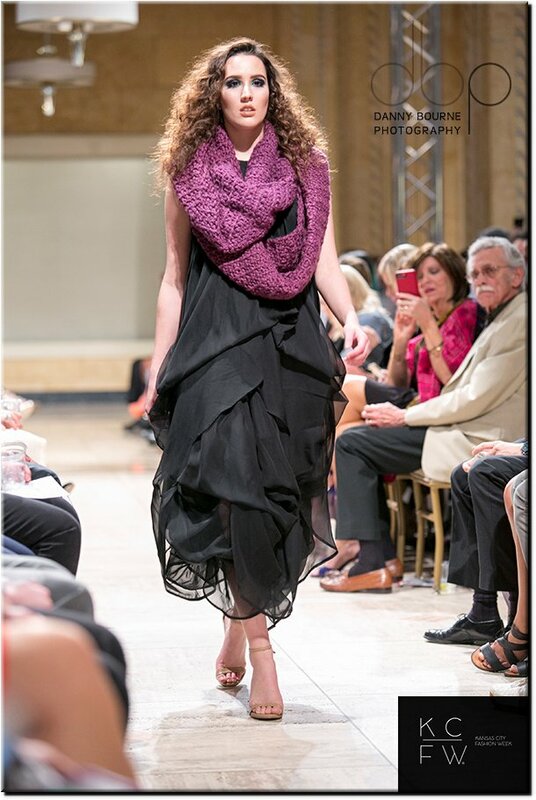 I am in love with the movement of each garment. 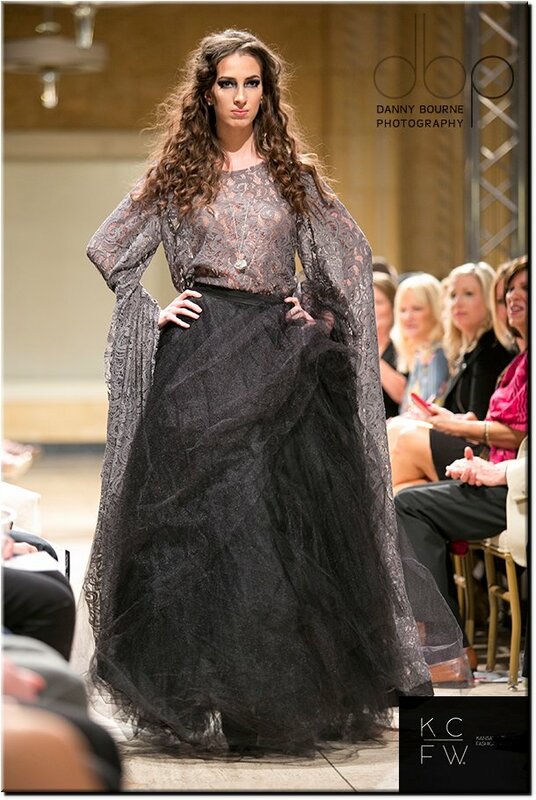 The airy fabrics and dark, moody shades are the perfect combination and remind me of a dark fairy tale. 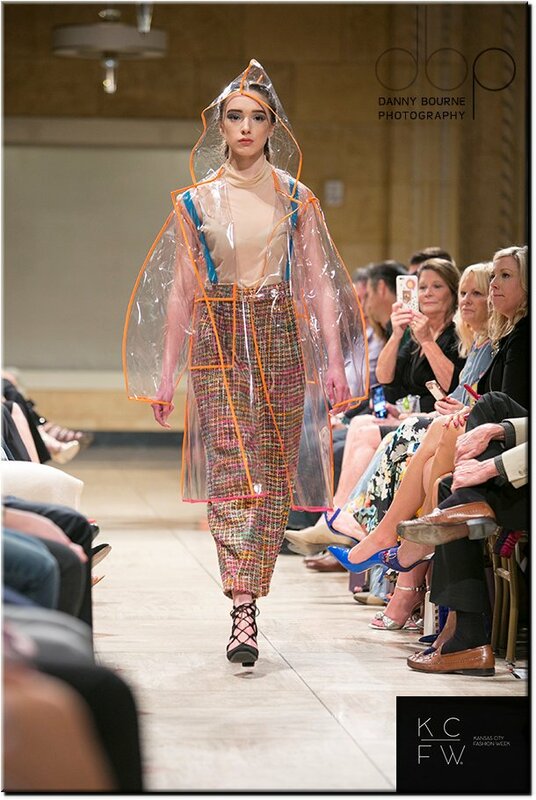 I love that I can picture these pieces in movies; this really shows that a fashion show is more than just a runway, but they can tell a story. 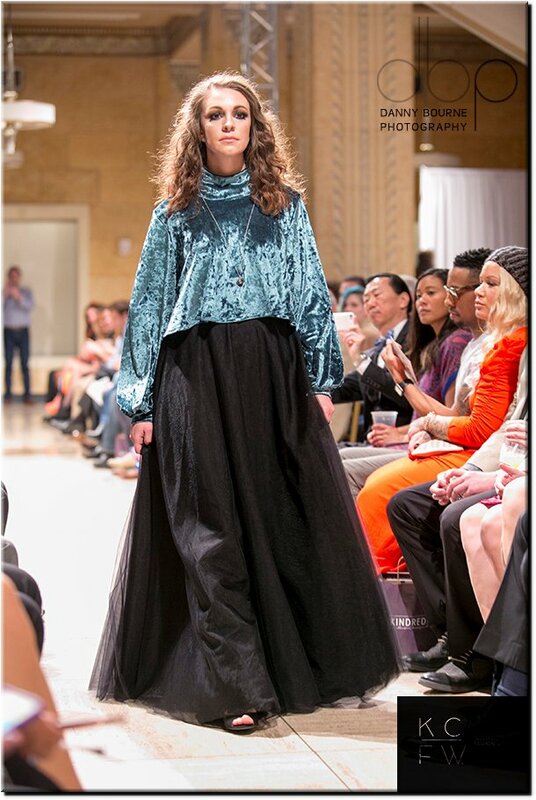 I met this talented designer when we modeled the runway together back in 2013. I always liked her because she is such a light and has an eye for some serious high fashion. 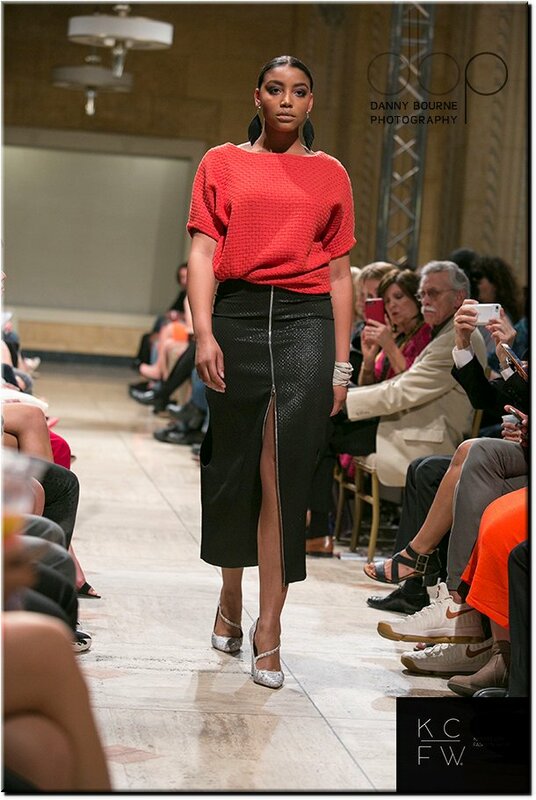 Not only does she have chic personal style, Munisa is an incredible fashion designer. 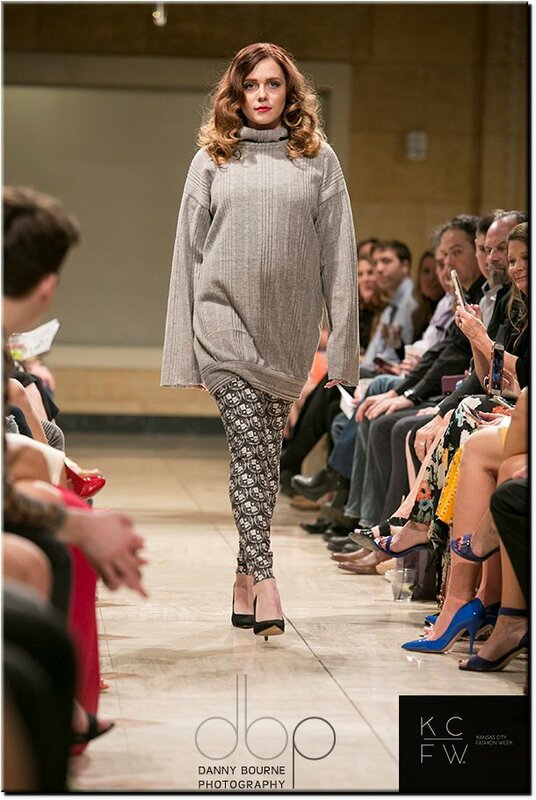 This collection was straight out of Milan Fashion Week. I really don’t know if it was the colors or textures or what; but all I could think was MILAN! 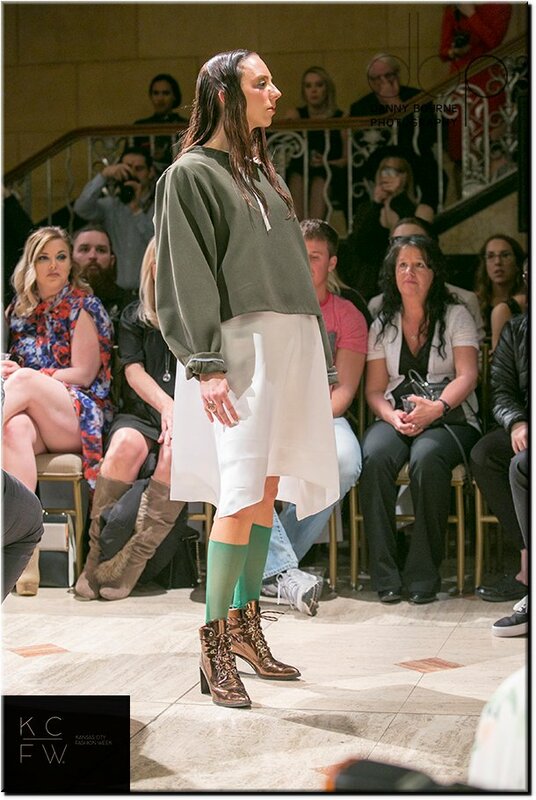 Her collection was street style meets high fashion runway and I was all about it. I can see myself (and MANY other influencers and fashion lover) wearing every single look. 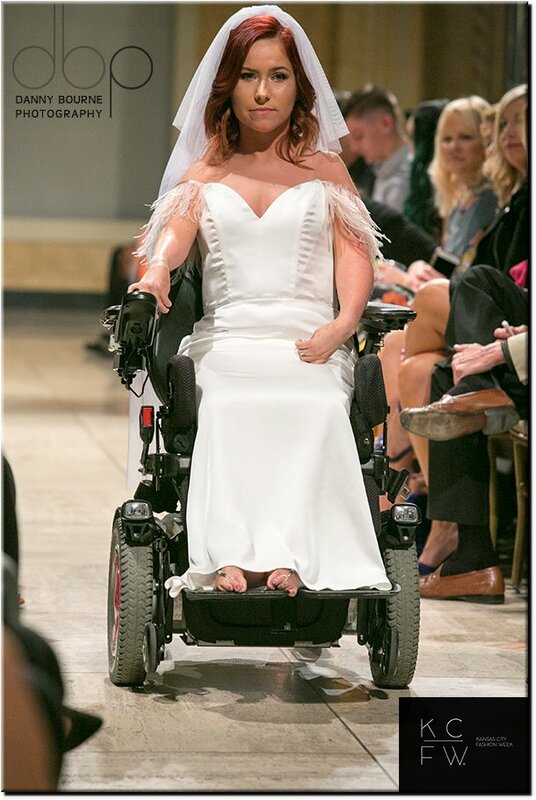 I am so proud of how far this woman has come! 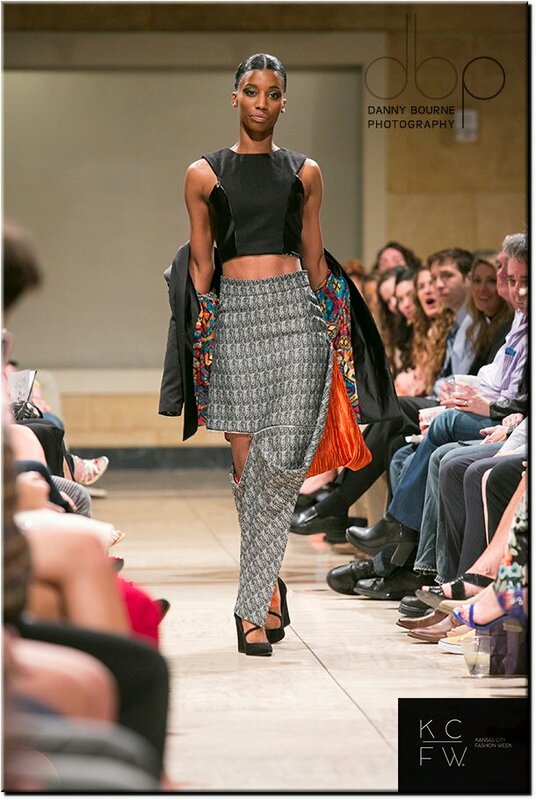 I absolutely loved the use of mixed textures and prints in this line! 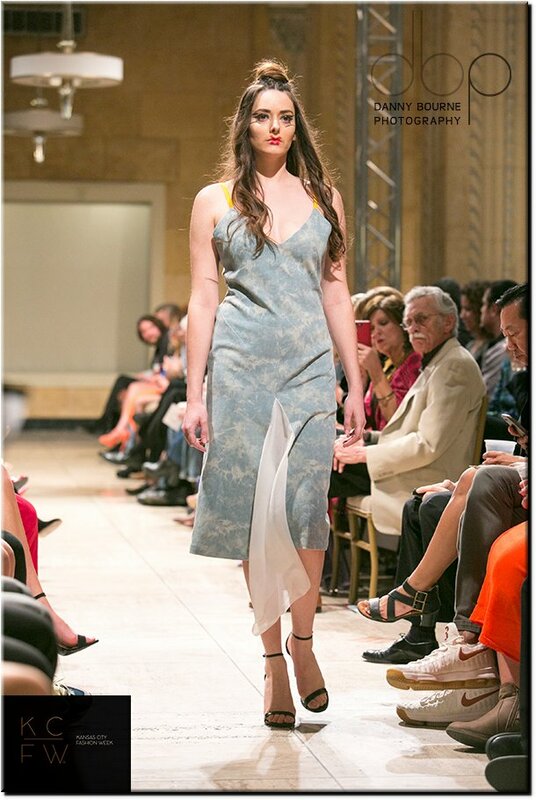 There were pops of primary colors, knits, denim, snakeskin, and much more. Somehow, all of these totally different elements came together beautifully. 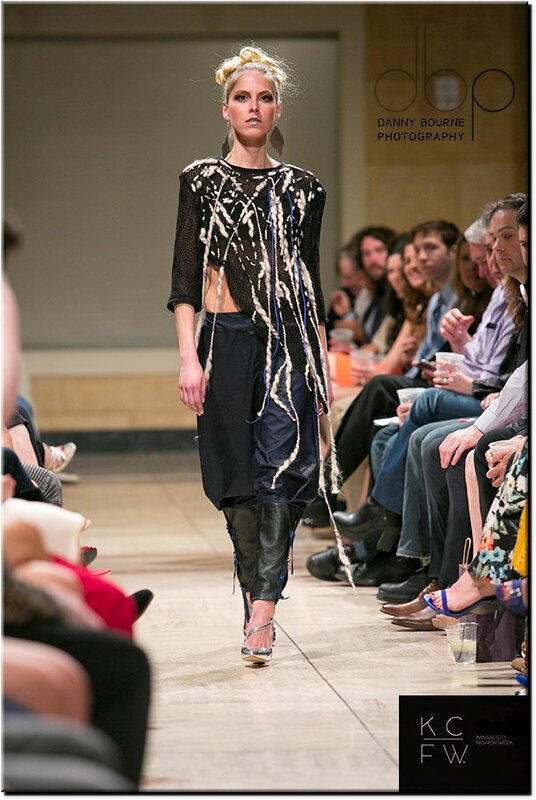 The minimalistic abstract makeup definitely added a nice cohesive touch. 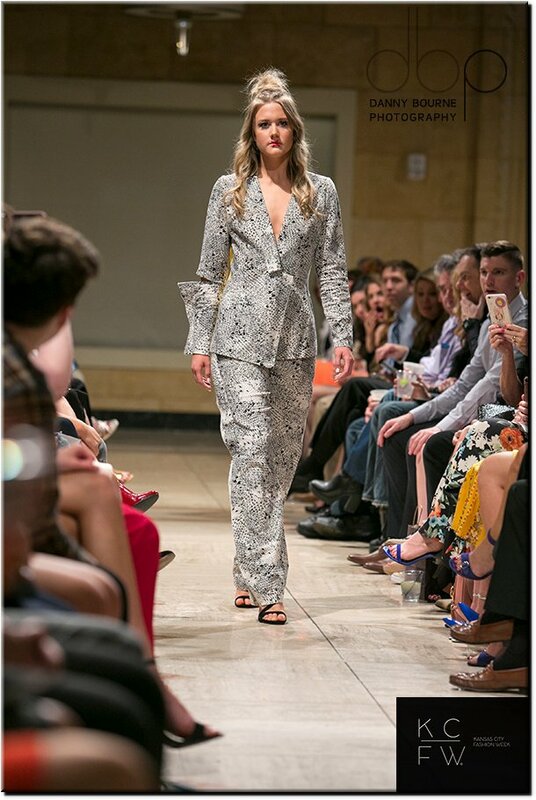 My favorite piece was the finale look; the printed pant suit with the elbow slit. 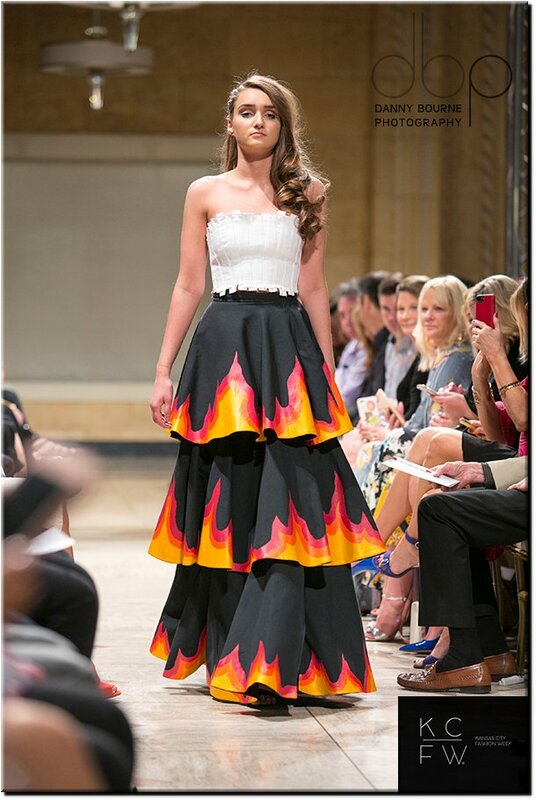 Oh my gosh I would wear this in a heartbeat! 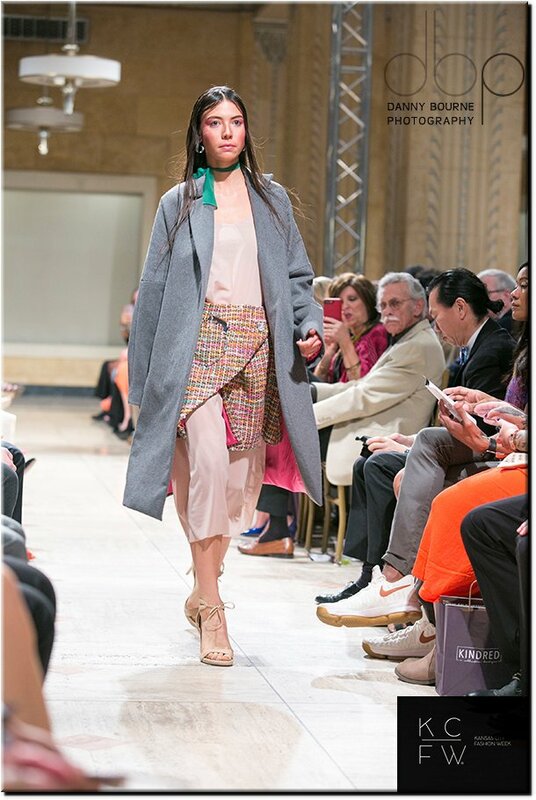 Barbara Bultman’s collection was not only physically stunning but extremely powerful. This line was made for women empowerment. 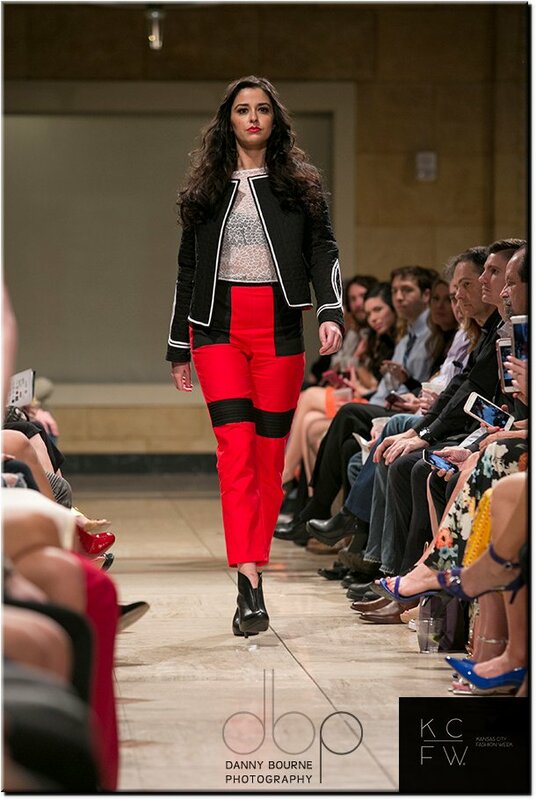 Bultman kept her collection classic, with bold colors and unique shapes, but also woke and in the now, by creating a strong message. 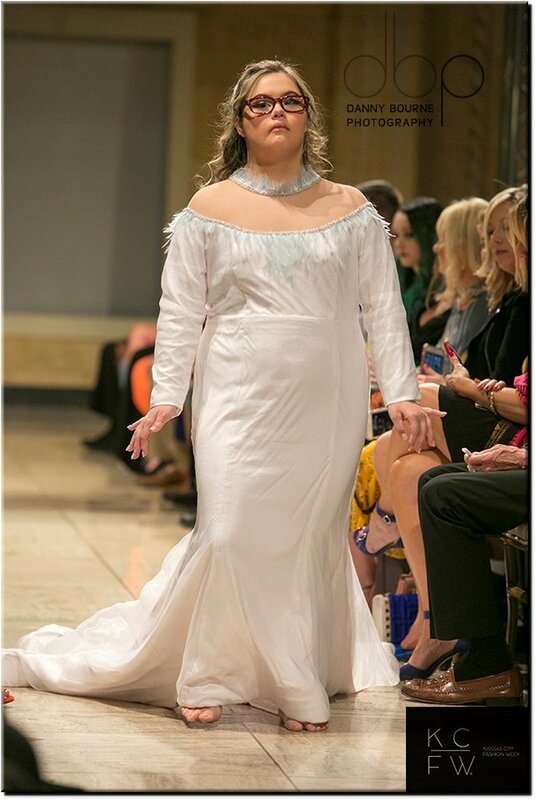 Each model had a different empowering saying written out on her hands. 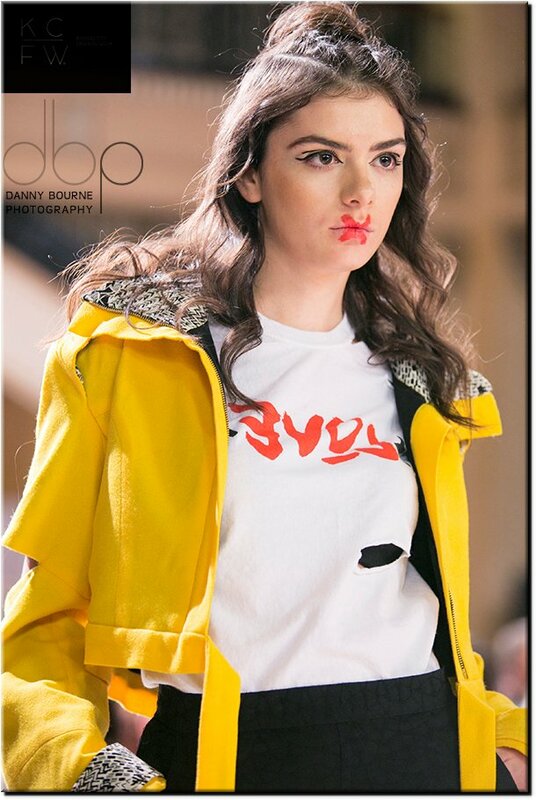 Now, especially, women supporting women is so important and Barbara’s message got across through art and fashion. VERY well done! Wow. 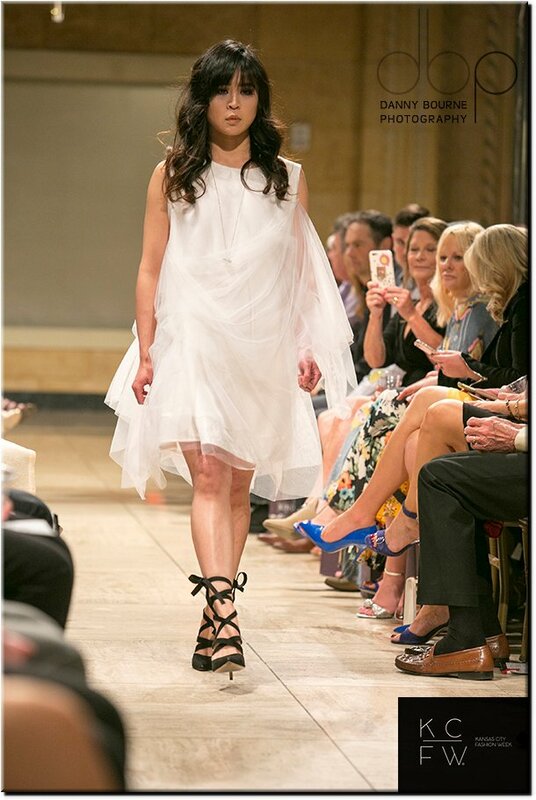 This collection brought the perfect amount of masculinity to femininity. If you could mix the two aesthetics of posh and edgy together this was it. 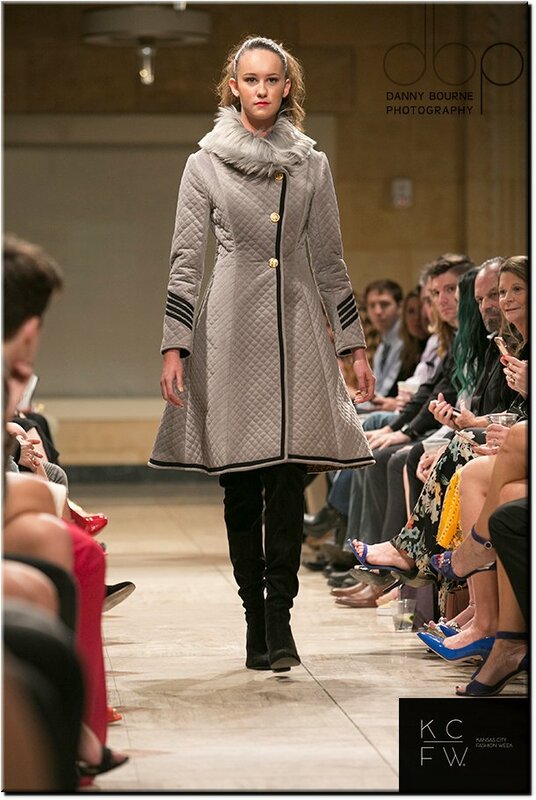 The harsh lines of the red, black, and gray structured jackets gave the looks some edge, while the quilting and fur accents kept it elegant and feminine. It truly was the perfect amount of everything. So chic yet so unique: almost like a New York business woman meets a Parisian romantic. 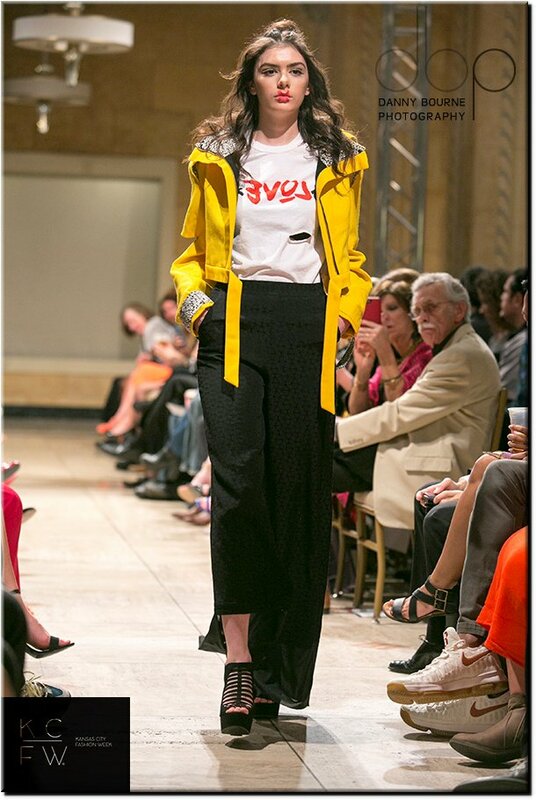 The tailoring on every single garment was perfect and the sHe by ChristianMICHEAL logo was the best personal touch. 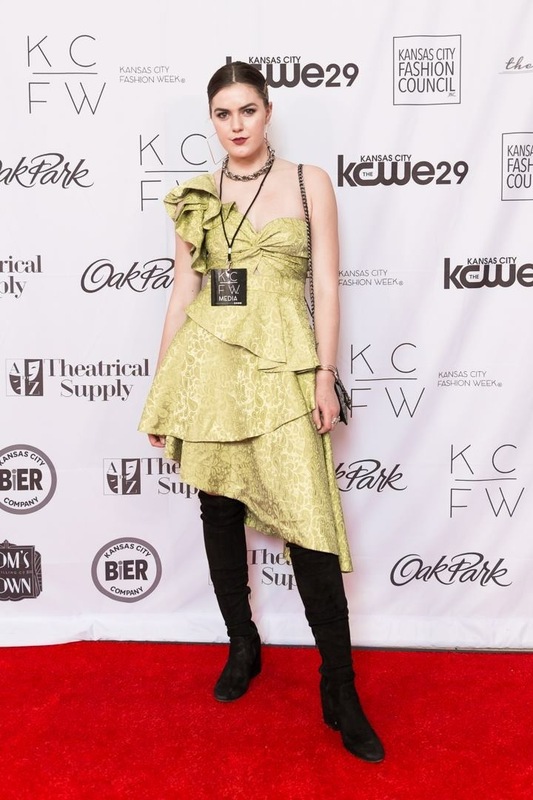 In case you missed my previous nights covering KCFW click HERE for Wednesday night coverage and HERE for Thursday night. 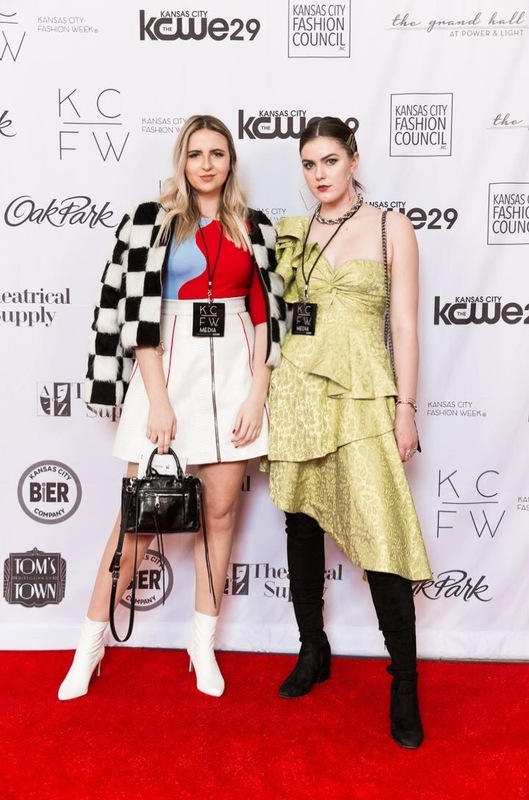 Be sure to check back tomorrow for my final post covering Saturday night at Kansas City Fashion Week F/W’19.